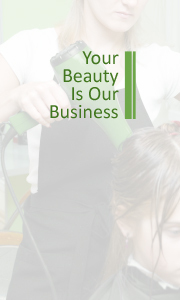 The Prince Edward Island Hairdressers’ Association is incorporated under the laws of the Province of Prince Edward Island. The Association receives its authority from the Hairdressers’ Act. The Association was incorporated in 1959 and has faithfully served the hairdressing profession since that time. The primary areas of responsible are: licensing of hairdressers, inspection of salons, and promotion of the hairdressing profession. The Association is directed by a nine (9) person Council. Eight (8) Council members are elected by the members of the Association and one (1) Council member is appointed by the Provincial Government. The Council is accountable to the membership of the Association and annually reports to the membership of their activities and stewardship during the previous fiscal year. The fiscal year end is August 31st. Our current membership totals eight hundred twenty five (825) individuals and two hundred thirty eight (238) salons. This web site will provide you details on licensing, Act and bylaws, member bulletin board, training schools, council news, current events and happenings. We anticipate you will find this site informative, user friendly, and current. If we do not meet your expectation, please advise us. Our Acting Council President is Mr. Blake Caissie, and our Executive Director is Ms.Lori Young.